Cotswolds golf courses are spread over the 2,038-square kilometre Area of Outstanding Natural Beauty situated in west-central England. These golf courses range in size from the 9-hole to the 18-hole as well as from the basic course to full-service courses offering world-class facilities and amenities. Such an abundance of golf courses in Cotswolds is not surprising considering that the area enjoys pleasant weather virtually the whole year-round while its varied landscape provides for challenging plays. When you find yourself choosing from among these golf courses, we suggest keeping in mind the following things. You want to avoid embarrassing situations, to say the least, which may mar your golfing vacation for you and your buddies. A few elite Cotswold golf clubs require players to become active members before using the facilities and amenities of the venue. Of course, membership fees are applicable, which can include annual fees and miscellaneous charges. 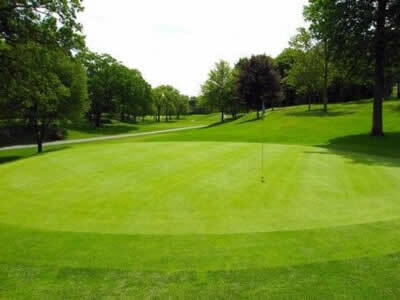 Most golf clubs, fortunately, also allows visitors to use the amenities and facilities including the course. 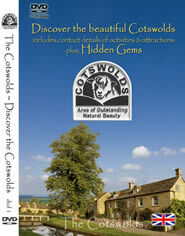 Fees are also applicable with seasonal discounts provided for Cotswolds guests. These golf clubs include the Naunton Downs, the Cleeve Hill, and the Cotswold Hills, among others. We suggest calling ahead to book an appointment to use the golf course just so your trip will not be wasted. Golf is a game where looking good is almost as important as playing good rounds. Think of it as a religion where worshippers are required to dress appropriately lest the management sees it fit to throw you out of the course for being an eyesore. Actually, the abovementioned attire also has practical reasons. Jeans, for example, are made from thick materials that can become uncomfortable during hot days on the course. Last but not least, you should behave in a manner expected of a good golfer – graceful in defeat and generous in victory. If possible, ask the management for a manual of proper behavior for members and guests although this may be unnecessary when you already know and practice good golf manners. In the end, the pleasure derived from playing in one of the world-class Cotswolds golf courses rests not so much on the luxuriousness of the facilities and the amenities but on how well you play the game and play with others. The English, after all, revere golf.